WOW! Is it mid Jan already?! I’m not sure about you but Christmas and New Year all went by in a big ‘WHOOSH’ and I was left feeling like I needed a holiday! 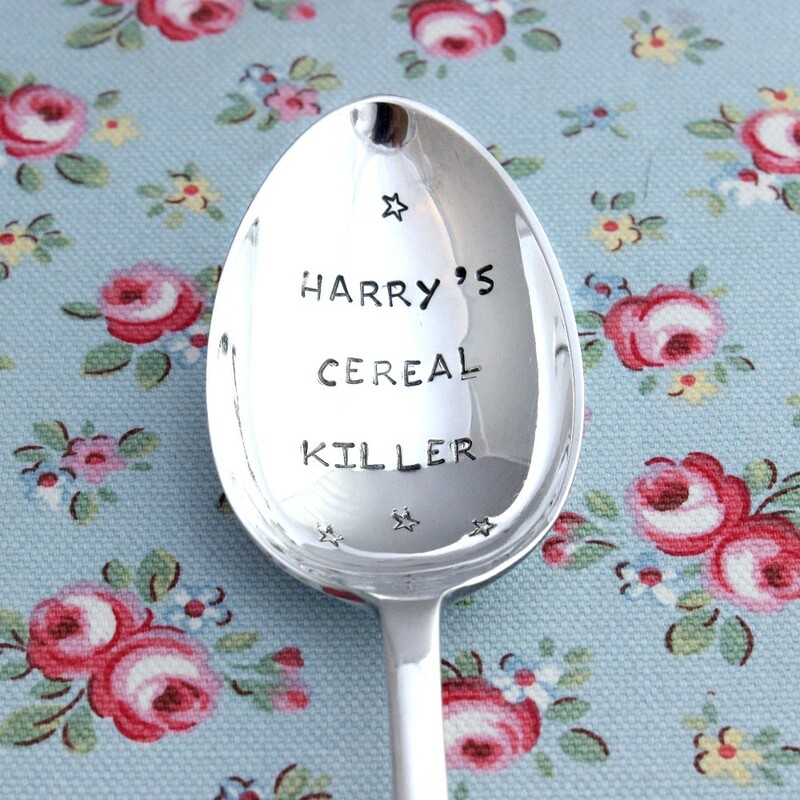 Personalised spoons have dominated the weeks since the holidays. 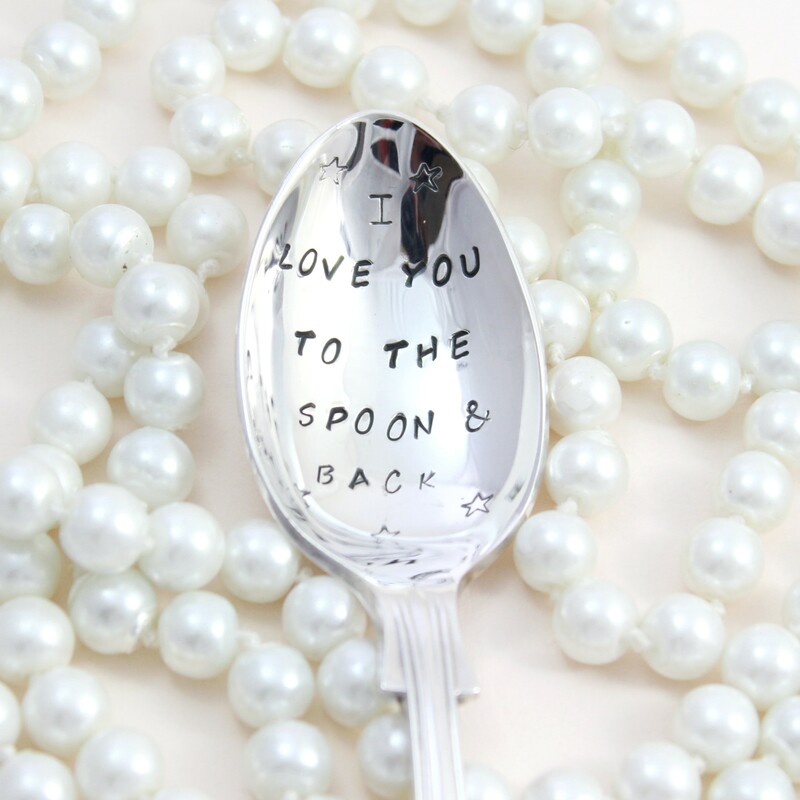 The spoons are proving popular for Valentines gifts and there is a run on ‘I love you to the spoon and back’ quotations! 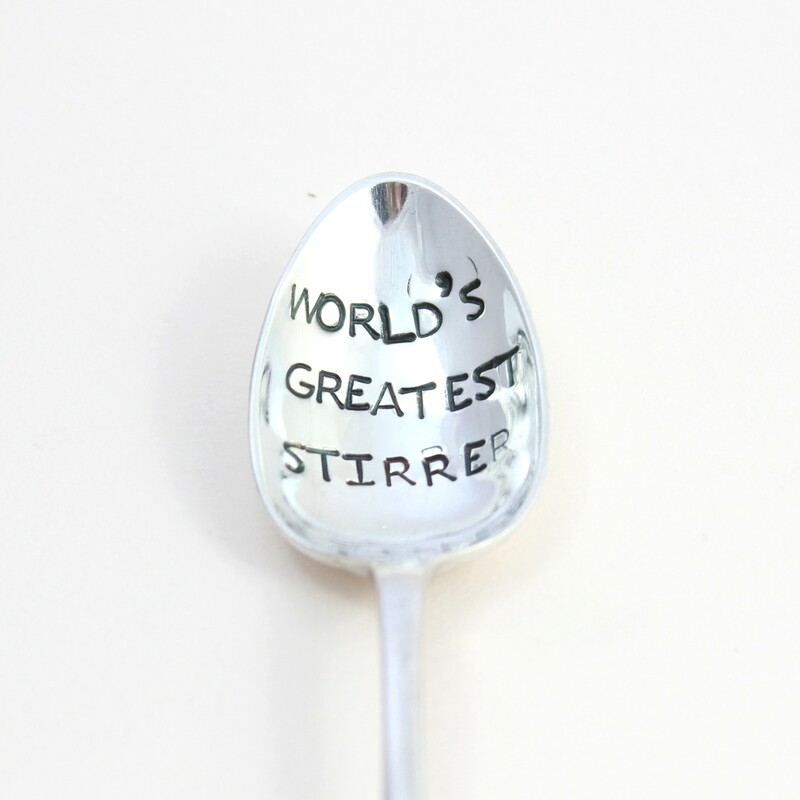 No marriage proposals on a spoon yet though …. It has just got to be a matter of time before a charming soul has coffee served with a pretty ‘Marry Me?’ tea spoon on the side…..or maybe one of those cute blocks of chocolate with the spoon in it, to melt off in hot cosy milk to reveal the secret message! Am I getting carried away?! 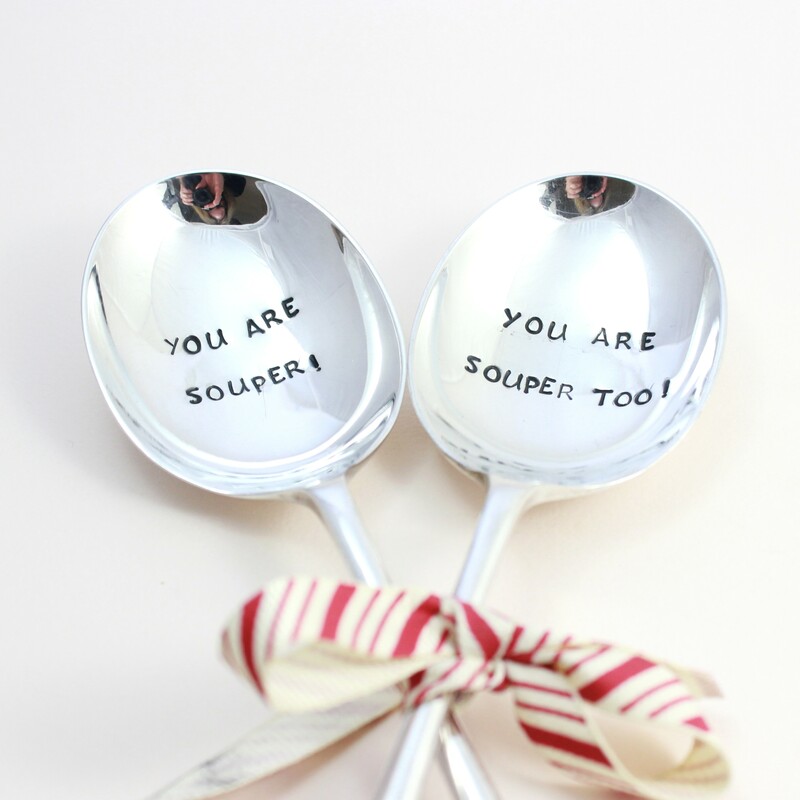 All the personalised spoons are vintage and silver plated and I hand stamp your own messages into the bowl. Because the spoons are vintage, they all vary slightly in size and handle design. 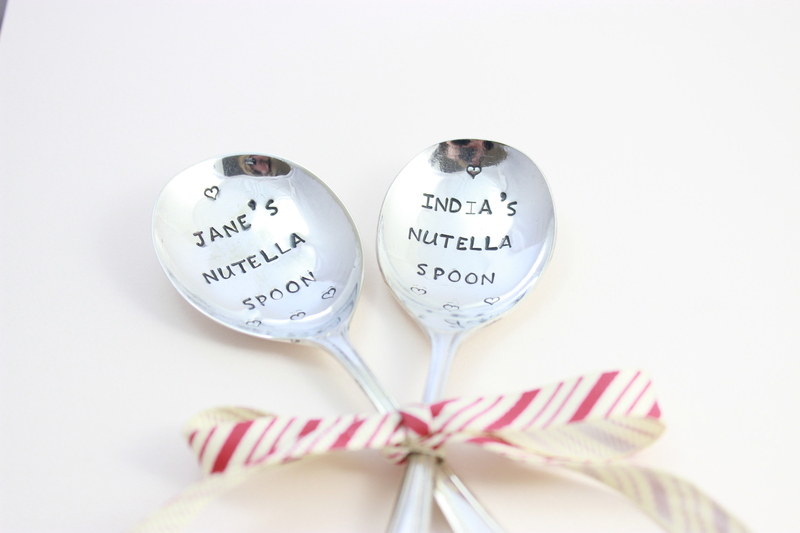 So, each personalised spoon is unique, quirky and perfectly bespoke and gorgeous! The stamps for the lettering are individual metal stamps and after positioning the letter I ‘WHACK’ it (hopefully missing my thumb) with a heavy copper hammer! I will be honest, it is a dangerous job, requiring nerves of steel and a steady hand ….. I take a deep breath every letter and pray my aim is good, it is difficult not to close my eyes as the hammer hits ….. tee hee! Most of the time the hit is fine, but I must confess to a few choice words when my aim is slightly off ….. owch! 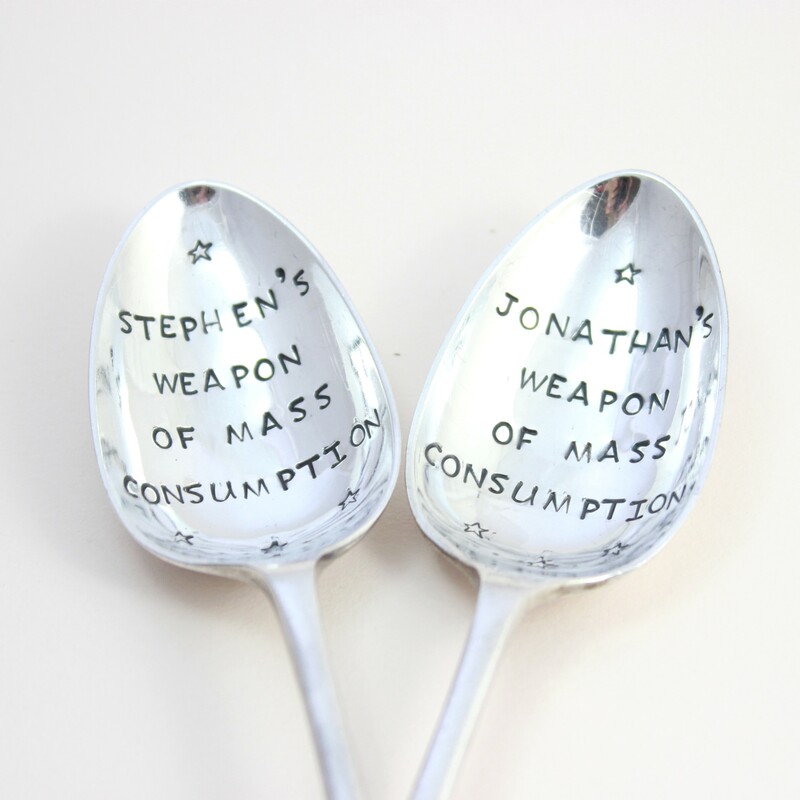 The personalised spoons make the best pressies for so many people and pretty much any occasion. Weddings, Birthdays (from birth – 100) Christenings, Christmas, get well spoons, Baby birth, good luck spoons … I can’t think of an occasion they aren’t great for!